Since 2014, the accord has been working in a temporary mode. The EU-Ukraine Association Agreement come into full force on 1 September. It has been ratified by all 28 EU countries. This document is very important, as it will promote the policy of association and integration of the Ukrainian economy into the European market. Most of the Association Agreement provisions have been effective since the agreement came into force on 1 September 2014. Its trade chapters have been temporarily applied since 1 January 2016. "1 September 2017 is the day that will forever go down in the history of our strong and independent Ukraine. 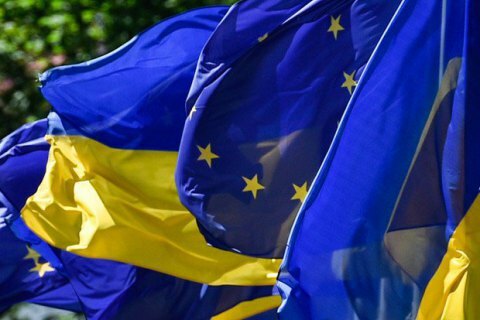 Today, the Association Agreement between Ukraine and the EU is coming into force," Ukraine's President Petro Poroshenko said on Facebook on 1 September. "Since 1 January 2016, we have an in-depth and comprehensive free trade zone functioning with the European Union. Ukraine's foreign trade in goods and services with the EU states has grown by 22 per cent over six months of this year. The EU accounts for almost 40 per cent of our trade," Poroshenko went on. "A historic change of the geographic structure of Ukrainian exports has taken place in favour of their increase to the EU countries. This is an already irreversible process of integration of the Ukrainian economy into the EU market," he stressed in conclusion. On 30 May, the last of the EU countries, the Netherlands, ratified the association deal between Ukraine and the EU.